Why? This post explains how I figure out how to get from anywhere to anywhere with any type of miles. Who has the best economy award redemption chart to middle east? Trying to get three of us to Tel Aviv this winter, and have ~125k amex points to transfer. Assuming that won’t cover all 3 of us, but if I could cover 2 that’s a good start. I also have some amount of United, delta, and American miles already. American Express Membership Rewards transfer to more than a dozen airline partners. Instead of looking up all of their charts individually, I headed to milez.biz to search pretty much every award chart at once. Air France Flying Blue for 25,000 miles each way from Denver to Tel Aviv. It is so cheap because Israel and parts of Northern Africa are inexplicably in Flying Blue’s Europe region as I always mention in Promo Awards posts. Unfortunately Flying Blue awards will have fuel surcharges, but maybe they won’t be so bad. ANA for 65,000 miles roundtrip from Denver to Tel Aviv. ANA awards will have fuel surcharges unless they fly United, which does fly from Newark and San Francisco to Tel Aviv. So he could perhaps use 45,000 American Airlines miles plus taxes and no fuel surcharges to fly Denver to Europe roundtrip and then book a separate Avios or low-cost carrier flights on to Israel. The disadvantage is the complexity of multiple tickets. The advantage–if he has the time–is he can see two European cities for as long as he’d like, one on the way there and one on the way back. If he went this route, I’d recommend booking his awards from Denver to Cologne or Berlin to take advantage of 10,000 Avios awards to Tel Aviv on airberlin. (What are Avios?) That would be 45,000 American Airlines miles and 20,000 Avios roundtrip to Israel per person. I’m going to drop this creative plan for the rest of the post, since I fleshed it out so fully in a previous post, and since I think the other options in the next step look really good. The prices of 50k Flying Blue miles and 65k ANA miles roundtrip are just theoretical if there is no award space. Sign in to airfrance.us and search. You’ll find that winter 2017 has amazing award space between Denver and Tel Aviv, with nearly every day having award space for two people at the 25,000 miles one way price. Unfortunately, you are generally looking at three flights each way. The ones that fly Delta across the Atlantic have only $50 in taxes and fuel surcharges. The ones that fly Air France have another $55 in fuel surcharges. The returns have about $85 in taxes and fuel surcharges with Delta flying across the Atlantic plus another $55 if you fly Air France to the USA. My friend absolutely can book two people a roundtrip from Denver to Tel Aviv for 100,000 Flying Blue miles (an instant 1:1 transfer partner of Amex) + $269. The drawback is the ~$165 extra out of pocket compared to the ANA/United option below and the three flights per direction. The last section was about searching Flying Blue award space. It didn’t matter much which Flying Blue partner he flew as the fuel surcharges are minimal. This section is about using ANA miles, but the only partner he would want to fly is United. Flying United, ANA doesn’t collect fuel surcharges. If he flies another partner, say Lufthansa, the fuel surcharges would probably exceed $1,000 for two people roundtrip. To see only United award space, he should go to united.com and NOT sign in. (Signing in will bring up extra award space ANA cannot book if he is a United elite or credit card holder.) On the home screen, he should click “All search options” in the search box. He needs to select “United and United Express only” to exclude results like those fuel-surcharge-infested Lufthansa flights. Now his searches should bring up only United results. (Unfortunately the calendar will show both United and partner results. I wrote about this glitch last month.) Any award space he finds on united.com, he can book on ana.com. (Here’s how to book on ana.com.) I pulled up award space for two people on ana.com on United flights, and it priced at 130,000 ANA miles + $105 for two people. Unfortunately I could only pull up Denver to Tel Aviv and vice versa connecting in Newark on ana.com. There’s no reason I can see that ANA couldn’t book the connections in San Francisco that united.com brought up, so if my friend wants to book those, he should call ANA instead of booking online. My friend has some planning to do. Does he prefer the 100,000 Flying Blue miles and $269 Flying Blue awards with three segments or the 130,000 ANA miles and $105 ANA awards with two segments. Or does he want to stop each direction and explore Europe on an American Airlines off peak award to Europe, supplemented by separate flights to Israel? If he prefers the Flying Blue award, he can find award space on airfrance.us, transfer instantly from Amex to Flying Blue, and book online tonight. Or he could try to get 25,000 more American Express, Chase, or Citi points or 20,000 SPG points, all of which would combine with his 125k Amex points to get him enough points for three award tickets. 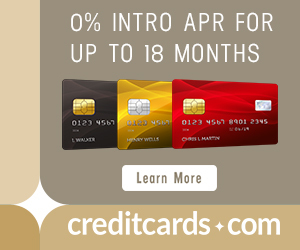 If he prefers the ANA award, he needs 5k more Amex points, so a few months of spending should get him there. Then he can search for award space, transfer from Amex to ANA, wait approximately 36 hours for the miles to post, and book. If he prefers the American Airlines award, he should put it on hold for five days, book the segments to and from Israel, then ticket the American Airlines award. The outlook is good for my friend’s trip to Israel. He has great options through a few obscure foreign airline programs. The key is to find the good deals on the award charts, including getting creative about where you book your award, and then make sure there is actually award space available for that price. The process is basically the same no matter where you want to go and no matter what points you have. If it seems too complex, hire my Award Booking Service to plan and book your award for you. 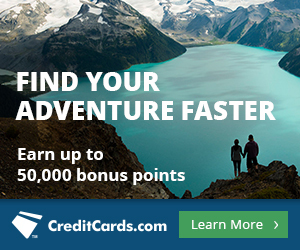 Previous articleThree Days Only: United Miles on Sale with 100% Bonus. Good Deal? What happens if, between the transfer and the posting of the points into the ANA account the availability is gone? Is there any way to hold the United seats on ANA or any other advise for this? Then you’re out of luck. And you have ANA miles for different dates or a future use. There is never a way to guard against this. Luckily it is very unlikely. Um, in my experience award seats disappearing are more often than not. What is the best way to fly to Israel using Avios from Toronto? since the fall of airberlin now there’s obviously no option to take the cheap route of nyc-germany-tel aviv using avios. is there a similar alternative at all?